Planar is a shelving system designed around the principles of flexibility and simplicity of construction and manufacturing. Ideal for the storage of books, files and magazines in the home or office. 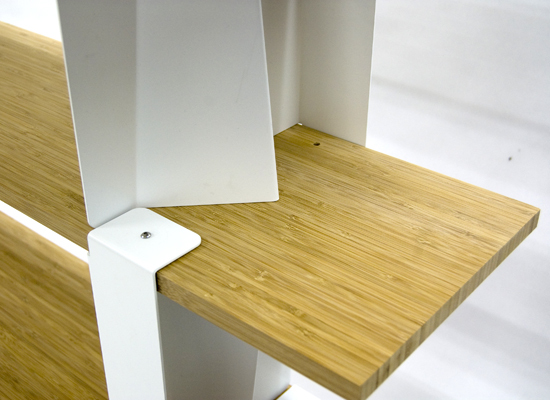 Solid bamboo shelves with white powder coated steel brackets. Supplied flat-packed with all fixings. Simple assembly with the supplied allen key. 6 shelves: 1485mm or 900mm wide x 1780mm(h) x 300mm(d). 4 shelves: 1485mm wide x 1080mm(h) x 300mm(d).